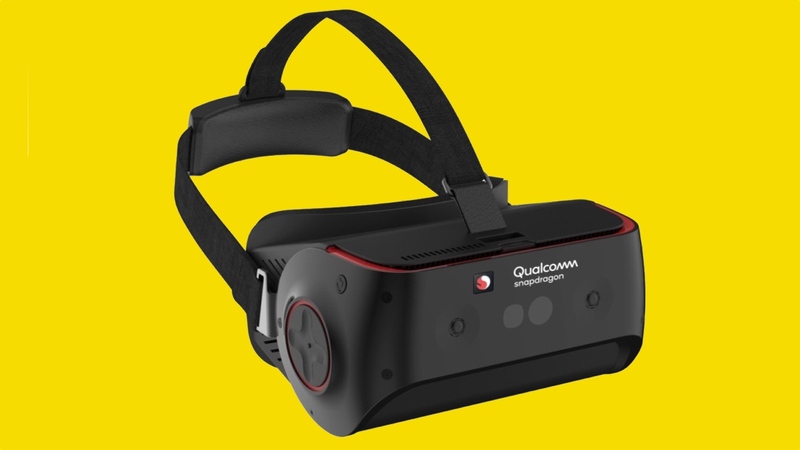 After chipset king Qualcomm recently unveiled its Snapdragon 845 VR headset reference design, pointing to several features which should become mainstays within devices revealed later this year, we now know that the design will have support for Vive Wave. The move, which essentially allows third-party headsets and peripherals to access the same platform, means that the Snapdragon 845 will give potential manufacturers access to features such as the Viveport app store. And with development kit set to be released over Q2, prospective users are also set to take advantage of a big upgrade on last year's design. The standout feature is foveated rendering, an eye tracking attribute that allows the user's focus to be detected, while it also possesses the ability to lower the resolution of areas within the wearer's peripheral vision. From what Qualcomm has revealed, the reference design's resolution also manages to pack more of a punch than current high-end headsets, with two 2400 x 2400 pixel screens running at 120 frames far outweighing the likes of the Samsung Odyssey and newly-announced HTC Vive Pro. In order to enable its foveated eye tracking, two cameras will sit inwards, while two more will face outwards, allowing users to take advantage of room-scale tracking that pairs six-degrees-of-freedom (6DoF) tracking with simultaneous localisation and mapping (SLAM). That means the headset is able to track where you are in a room and help you avoid hitting walls, chairs and anything else lying in your path, something which is also assisted by a new boundary system which alerts users. The device itself is, as we alluded to up top, an evolution of previous reference designs, and the big Q claims that the new Snapdragon 845 headset's display is twice as strong as the previous generation, while also boasting 30% faster graphics performance. Interestingly, the company also indicates that the HTC Vive Focus, which launched back in November, was a design based upon this previous generation, the Snapdragon 835. And since that was a concept also announced this time last year, we should expect a similar time frame this year for headsets harbouring the technology now being showcased by Qualcomm. Team Wareable was on hand at MWC 2018 to check out the reference device when it was first announced, but keep an eye out for more news coming over the summer - that's when we should see similar devices teased from big names within the VR industry.